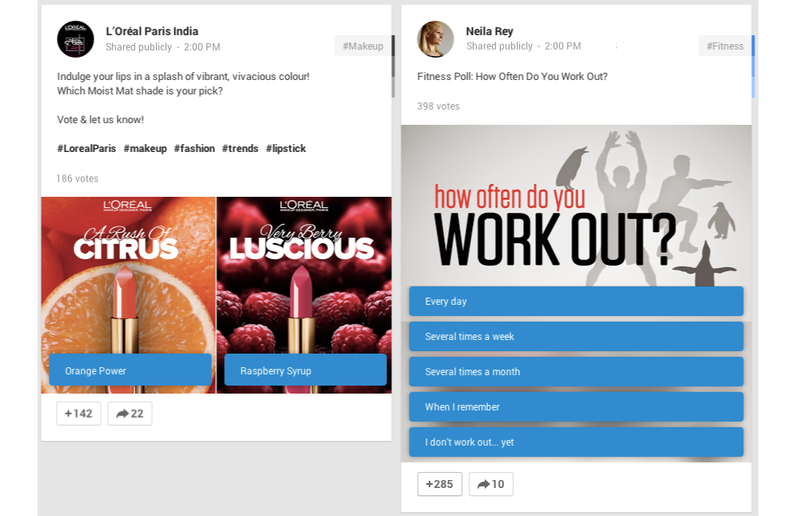 Eliciting feedback from a large group of followers has never been the forte of any social network, but Google is alleviating a few pressure points with the introduction of polls to Google+. Polls work exactly as you would expect. They are embeddable within posts and they can contain a number of mutually exclusive choices for respondents to select, up to five in total. The appearance of individual polls are somewhat customizable – you can change background images, for example – but the templates are rather rigid, probably to maintain a degree of consistency across the web and mobile. So, who is looking forward to wading through hundreds of “Which Android device should I buy?” polls?